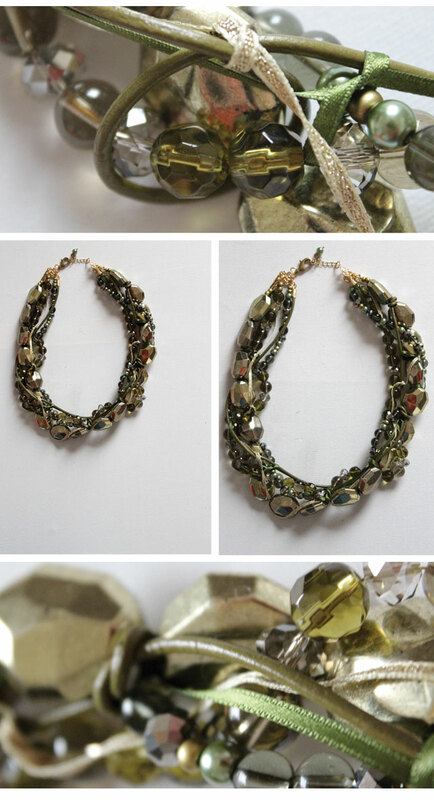 I want to share this beautiful gold, grey and olive beaded necklace that I made as part of my handmade Christmas. I made this for my Auntie as a thank you for the beautiful wedding cake she made last year, she wears lots of these beautiful gold and olive colours so I knew it would be perfect for her. Part of the joy in making these necklaces is planning colours that best represent the recipient; selecting the beads and ribbon and twisting them together is something that I never tire of. Want to see more? This berry version is mouth-watering!